PASADENA, TX--(Marketwired - March 19, 2015) - TorcSill Foundations, LLC ("TorcSill" or the "Company"), a leading helical pile foundation manufacturing and service company focused on the energy industry, is pleased to announce the appointment of Gene Hallman as Chief Executive Officer, effective immediately. Mr. Hallman has over 40 years of experience in the energy industry and previously served as the Company's Chief Operating Officer. 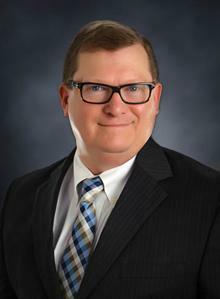 Mr. Hallman will be based at the Company's headquarters in Pasadena, Texas. Throughout his career, Mr. Hallman has held many senior leadership positions in the Oil & Gas, Midstream and Energy Construction industries. Immediately prior to joining TorcSill in April 2014, Mr. Hallman served as Vice President, East Region, for URS Flint where he oversaw significant growth and many important projects. Mr. Hallman, succeeds Lyle Love as Chief Executive Officer. Mr. Love will become Chairman of the Board of Directors and continue to serve in both an advisory and operational role. "I am privileged and excited to be leading such a proven and talented team," said Hallman. "TorcSill has become a market leader in the energy-focused helical pile manufacturing and installation industry, and I look forward to taking the helm as we enter this new period of rapid growth." Lyle Love, newly appointed Chairman of the Board, said, "Mr. Hallman has played a principal role in leading our Company's key growth initiatives, including the opening of three new district offices and our state of the art manufacturing facility. His vision and leadership will ensure that we exceed our customer's expectations in providing proprietary helical pile foundation solutions for their demanding energy projects." Mr. Hallman received his Bachelor of Prelaw from Oklahoma State University and his Masters of Taxation from the University of Tulsa. He is also a Certified Public Accountant. TorcSill Foundations ("TorcSill") manufactures and installs engineered helical piling systems designed primarily for the oil & gas and power & transmission markets. TorcSill's helical piling systems act as superior foundations for well-site production equipment, midstream equipment and refineries across domestic, on-shore oil & gas basins. The Company's headquarters and manufacturing facility are located in Pasadena, Texas with field service and installation locations in North Dakota, Oklahoma, South Texas, West Texas, Texas Gulf Coast and West Virginia. TorcSill's technical team possesses 100+ years of combined oilfield construction experience and its strategically placed field locations allow it to deploy and meet demanding construction schedules in a variety of environments and conditions.